AAA members will enjoy an exclusive private event among the creatures of the sea during Aquarium of The Pacific’s AAA Member Exclusive Night on Friday, June 22 from 6 p.m. to 9 p.m.
Tickets are $13.95 for adults, $11.95 for children aged 3 to 11, and free for Auto Club members who are also Aquarium of the Pacific members. Members can pre-purchase tickets at any Auto Club branch or online at AAA.com/AOP, or at the ticket window on the evening of the event. Access to all aquarium attractions except the Lorikeet Forest, which closes daily at 4:30 p.m. The aquarium is located at 100 Aquarium Way in downtown Long Beach, south of Shoreline Drive off Queen’s Way. Parking is available for $8 with validation from the aquarium in the parking structure across the street. 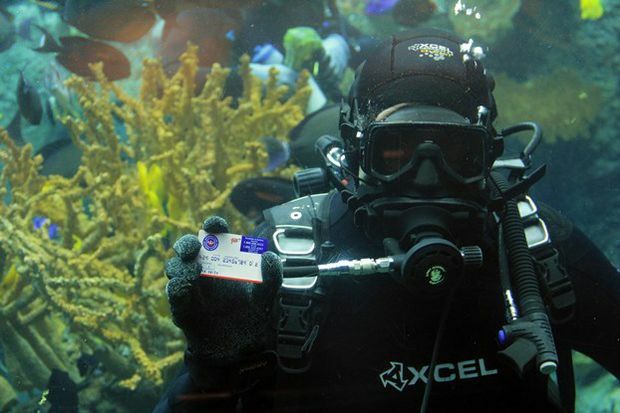 Auto Club members can buy discounted aquarium tickets for any day of the year for up to 25 percent off at any Auto Club branch and for 10 percent off at the gate or at AAA.com/tickets. A one-day adult discounted admission to Aquarium of the Pacific is $23.00 in the branches and $26.95 for AAA members who show their card at the gate or who pre-pay online. *This discount cannot be applied in addition to other discounts.